Whilst on a trip to Prague last month, we found ourselves with a spare day and didn’t know how to fill it. 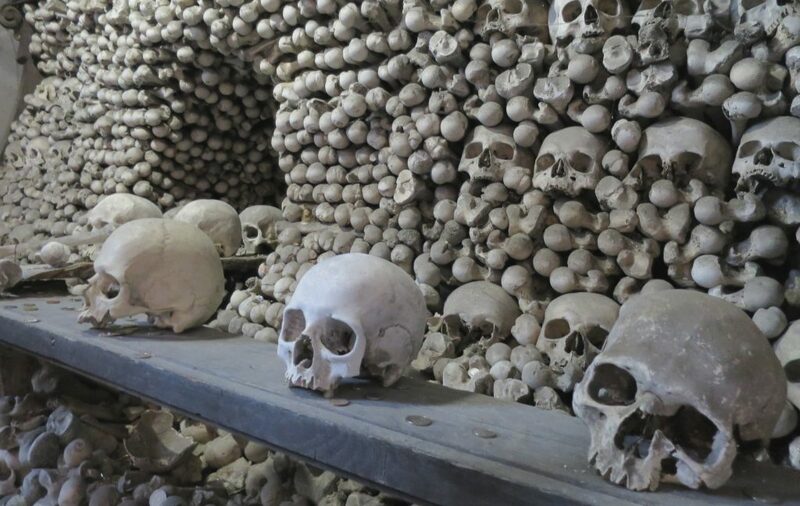 Luckily, a friend of mine had mentioned a “bone chapel” to me a few months before, so we looked into it and stumbled across day trips to Kutná Hora. We had a fair amount of CZK left and it was our last day in the Czech Republic, so we decided to sign up for a driven tour from Prague to Kutná Hora and it was really incredible. In fact, I think that this was the highlight of the entire trip for me personally. 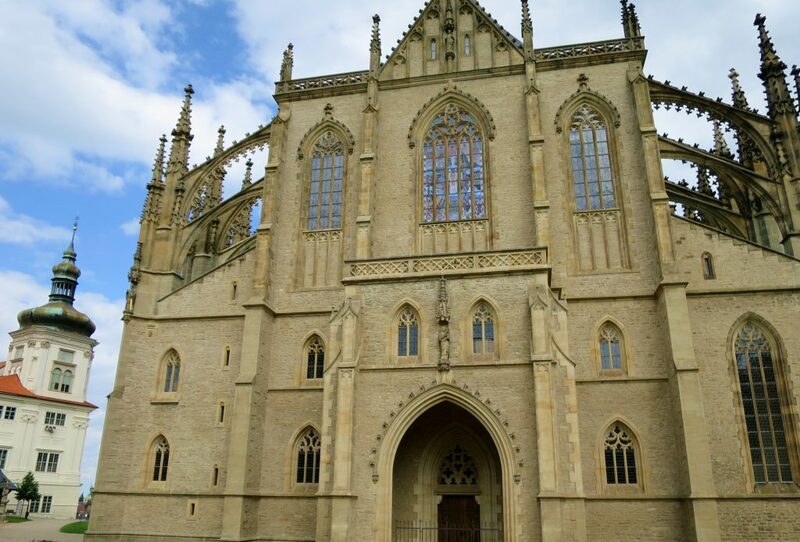 However, if you want to see Kutná Hora in the cheapest way possible, trains run from Prague main train station (hlavní nádraží) every two hours in the morning and early afternoon and every hour starting from 3pm. The trip takes about an hour and costs 100 CZK per person (one way). More information on local trains and changes can be found here. Kutná Hora is extremely beautiful and a lot greener than you would expect a city to be. I could have easily spent a whole day exploring the area and getting my bearings. 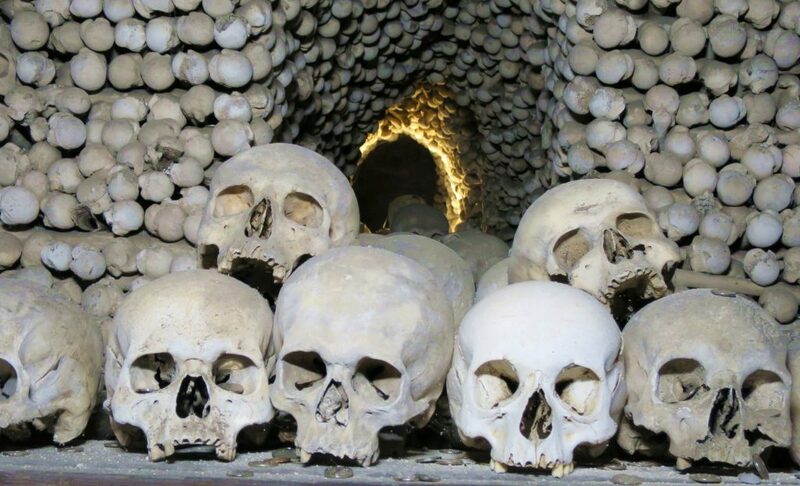 Before reaching the centre of Kutná Hora, we stopped off in Sedlec to see the amazing UNESCO world heritage site of Sedlec Ossuary (a.k.a the bone chapel). I’ve never seen anything like it and was stunned at how strangely beautiful the chapel was, despite being decorated with human bones. Next stop was Kutná Hora! The outside of St. Barbara’s Cathederal is really beautiful. The inside is rather average in my opinion but the outside and the surrounding areas make up for this. Apparently I couldn’t be bothered to take pictures properly at this point because I have no good photos of the inside or outside (stupid Danielle!). We then went for a wander around the quaint city, you could tell that our guide was as in love with the area as we were all becoming. 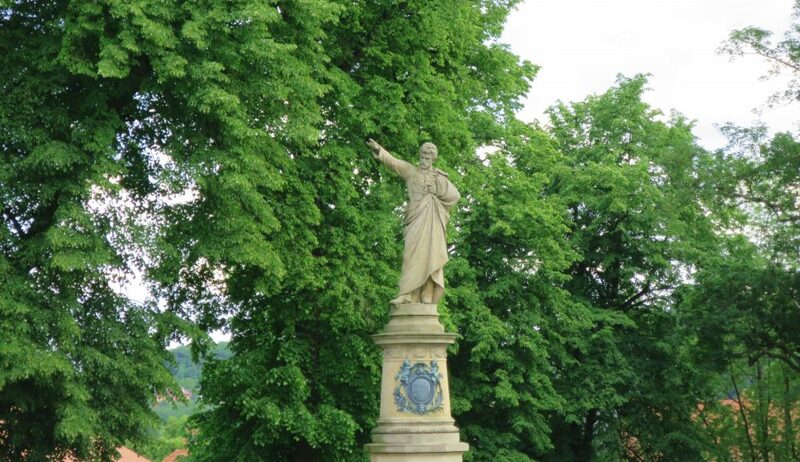 He took us to the best view points and gave a good insight into the history of the area. If you do want to take a day trip, be aware that many tour companies only do this trip on certain days. We used Premiant who were the only company we found that ran this tour on a Monday (in fact, they run it every day!). 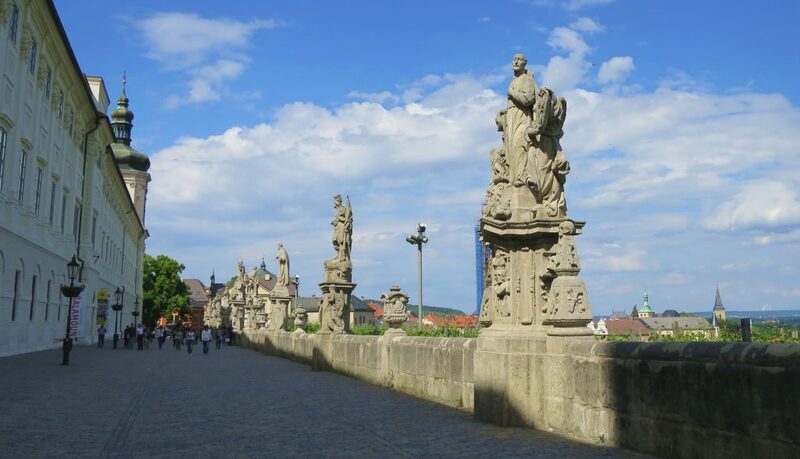 All in all, this is a really picturesque little city and is definitely worth a visit, even if only for a day trip from Prague! Kind of spooky, a bone chapel sounds like an interesting place to visit. Great photos! I went to Kutna Hora earlier this year and really loved it! 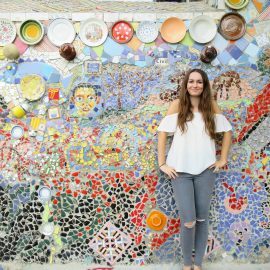 It definitely made me curious to visit more of the Czech Republic aside from Prague one day! 🙂 It also looks like you guys had absolutely gorgeous weather – the blue sky looks incredible! I would love to visit the Czech Republic one day (and the rest of Europe). Thank you for leaving a comment over on my blog btw and I love your hair! I’m growing mine out at the moment but its still a bit shorter than yours. I’m so happy I live close to Czech Republic – this country is really beautiful and kind of underestimated among travellers. I guess I need to fix that gap in my travels!